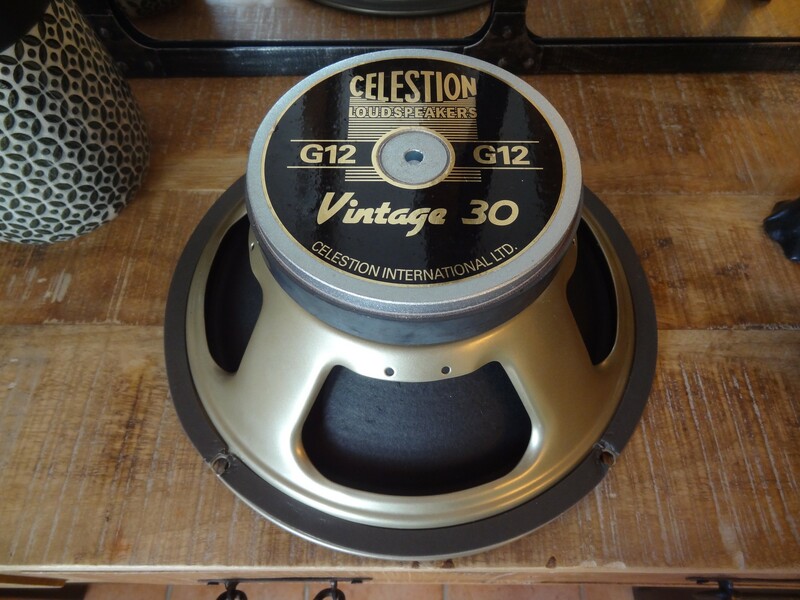 Vintage 30, Guitar speaker from Celestion in the Classic series. My first experience with these speakers was in 2007. Since then they've been in a lot of amps and have become the industry standard speaker for high gain applications. And I can see why! It's a great sounding speaker with a specific midrange character to it that a lot of metal or high gain players can work with. However, there is some fizziness to it in the high mids and trebles that I sometimes HATE, but that's also the same character that adds to that midrange making the speaker so unique on it's own and thus famous! I have to say that it has generally been good sounding through almost any type of cab, whether it be 412s or 212s or even single 112 cabs. The V30 is sort of like the SM57 of guitar speakers. They've become the standard sound and it's not necessarily a good or bad sound but definitely a workable sound. In terms of headroom I have to admit there isn't much. Cleans are good but can lead to break up quite early depending on how it's used. This is of course what is known to help with the high gain applications, it breaks up earlier, which generally equals better for metal etc. More distortion is always better, apparently. 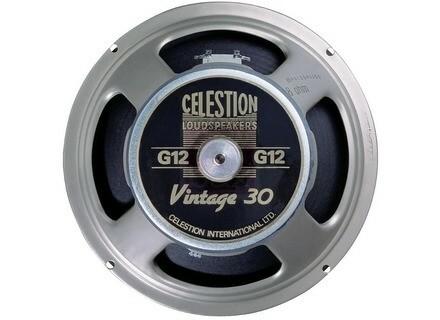 It is generally a darker sounding speaker in comparison to other standard celestions for eg the G12T-75. Not REALLy dark but darker. And if paired with the right cab can sound great. I have found however that these speakers don't sound good to me, with the oversized mesa cabs. It's way too dark and actually sound too thick and muddy, notes become indistinguishable and the low end is all over the place, while the highs are generally fizzy. It could just be the character of the mesa cab itself too, I haven't had much luck with the oversized ones.. But in general this speaker is decent and has become the industry standard rock/metal high gain speaker. Definitely can sound good, but maybe not the most versatile. 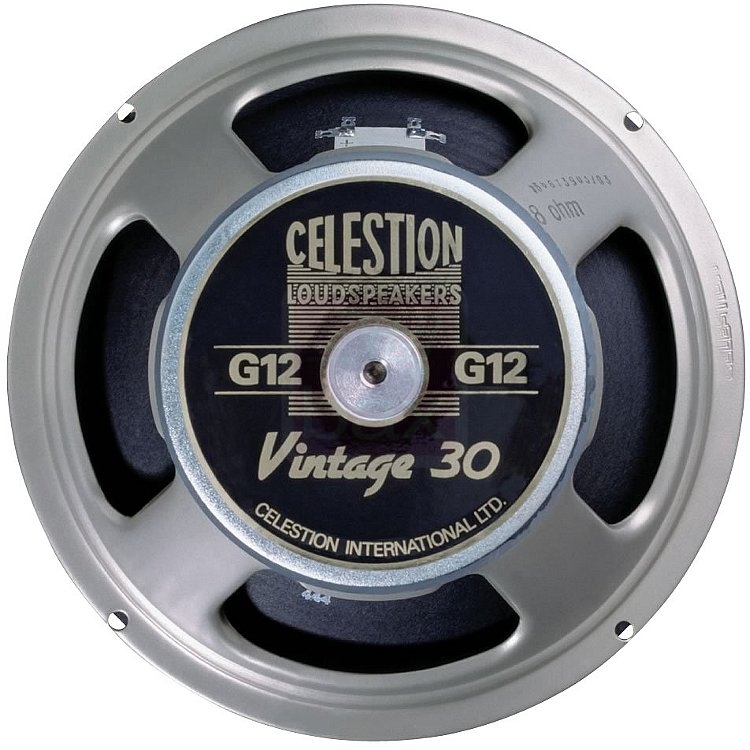 The Celestion Vintage 30 has been one of the most used and most notorious speakers of the guitar world. This has been the predominant speaker when it comes to heavy metal recordings, and for good reason. 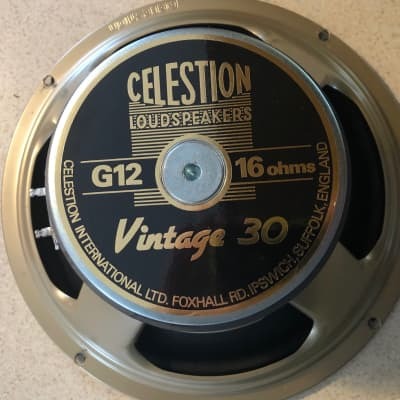 It’s a standard 12’’ speaker with a ceramic magnet, 60 watts worth of power and comes in either 8 or 16 ohm format. In the midst of speakers delivering a classic breakup, there was a need for a higher wattage speaker that could handle the extreme riffs that metal players were dishing out left and right. 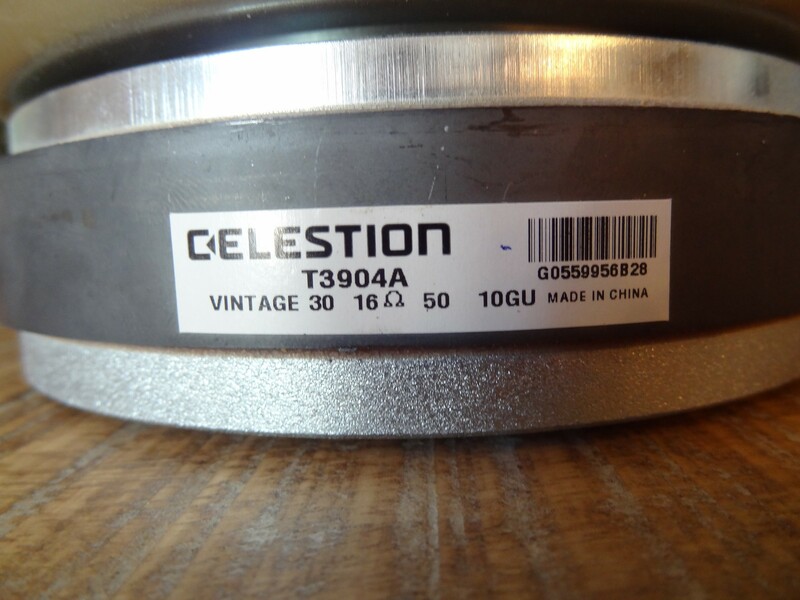 Celestion introduced the Vinage 30 as a means to allow the guitarist to scoop their mids but still allow them to cut through even the most dense mix. This speaker is very polarizing. Some people love it, and some people hate it. Those that love it enjoy that it handles low tunings well, cuts nicely, records very easily and seems to really excel at a higher gain setting. Those that hate it mention the mids are too harsh, it doesn’t break up nicely and lacks that sweetness some of the more vintage speakers have. Personally, I’m a huge fan of this speaker. I’ve used this as my main speaker for the past decade, and it has never let me down. I never had issues cutting, and it handles the extreme low tunings without any problem. It also remains tight without sounding like cardboard or too stiff. I never really understood how people could complain about the harshness, but I guess it’s all in how you’re setting the amp. I find this speaker tends to work better with my 5150s and Dual Rectifier better than my JCM800, so it could also be the gear you’re using. I highly recommend the speaker, but considering how polarizing this speaker is, I recommend checking it out first. If you can, try it in a Mesa or Bogner cab as those tend to sound the best, in my opinion. Would I make the same choice... um, no. Absolutely not. 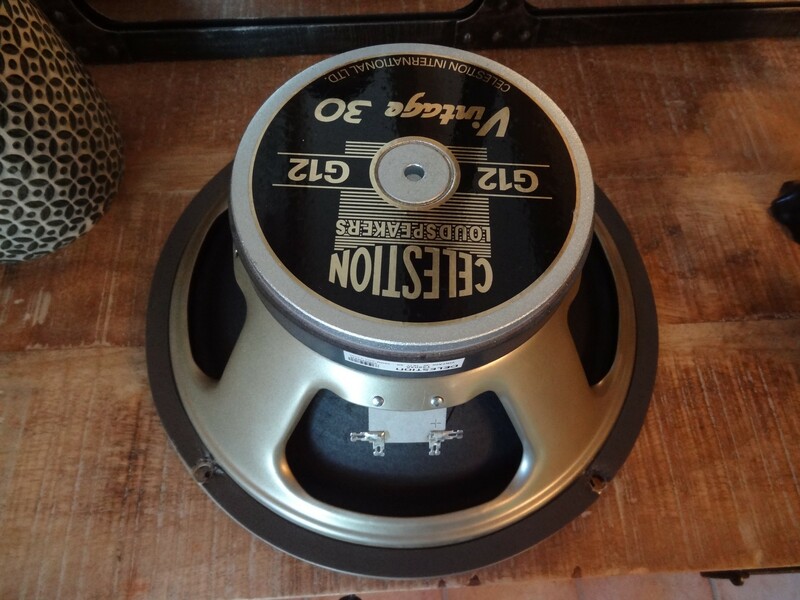 I might try them in an EL34 based setup...but for that matter, I would just use the speakers I like much more (Cannabis Rex, P-50's, or even Celestion Greenbacks) and yes, I DO play metal... if I wanted this scooped out sound...I would just try the Governor from Eminence.. which is supposed to be the equivalent. Or even the Texas Heat's. Again... I think this is an overhyped speaker that has become kind of the standard tone for Nu Metal... but does not seem to cut it with any of my gear. - had two of them in my 2x12 mésa vertical rectifier, i like the warm tone they provide, but i wanted more bite for my heavy distorsion patchs so i swaped one of the V30 for a century vintage. The century vintage sounds not as huge as the V30, but it has more clarity and definition. - V30 are excellent HP, you can't go wrong with it.